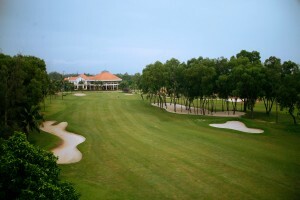 Song Be Golf Resort was Vietnam's first international championship golf course and is widely regarded as one of the most challenging layouts in the country. 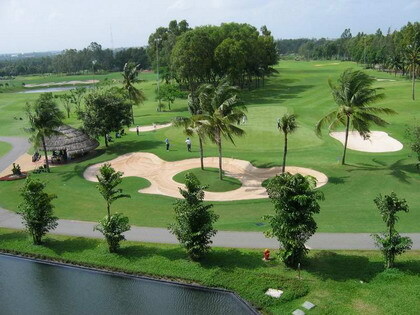 This Vietnam golf resort was built in 1994 out of the natural landscape of fruit orchards and coconut palms. In 1995 the Song Be golf course was officially rated in accordance with the USGA/SGA requirements. Song Be Golf Resort in Ho Chi Minh now has 3-Nine holes course, the Lotus Course, Palm Course and the newest and most demanding addition – the Desert Course. Vietnam golfers are impressed at the sheer beauty of the natural landscape as they attempt to take on the challenges presented by one of Vietnam golf's most exciting championship layouts with 27 holes. 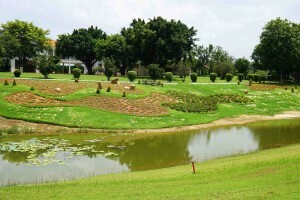 Each golf course has its own uniqueness and challenges featuring many lakes, natural bush reserves and large undulating greens. The most challenging of all these Vietnam golf courses is the Desert Course with long and narrow fairways, an array of complex bunkering and abundance of sand that requires a high degree of straight hitting and strategic thinking from golfers on a Vietnam golf vacation. 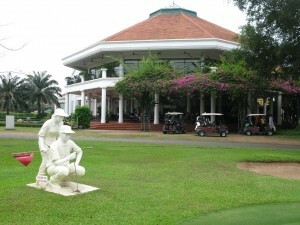 Song Be Golf Resort in Ho Chi Minh is a walking course and all the caddies are female making for an enjoyable golf vacation in Vietnam. Golf carts are available for one of two golfers so if you want to have a relaxing Vietnam golf holiday, you'll also appreciate this golf course. A fully equipped and modern club house provides golfers with excellent ocean and sand dune views to enjoy this Ho Chi Minh golf course and facilities after their round. 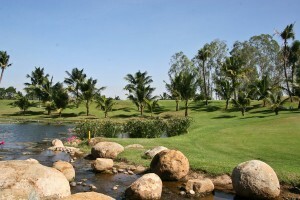 Book a tee time at Song Be Golf Resort with Vietnam Golf Vacation. Copyright © 2017 VietnamGolfVacation.com. All Rights Reserved.